AUDUSD stalls at yesterday's high. Rotates lower. 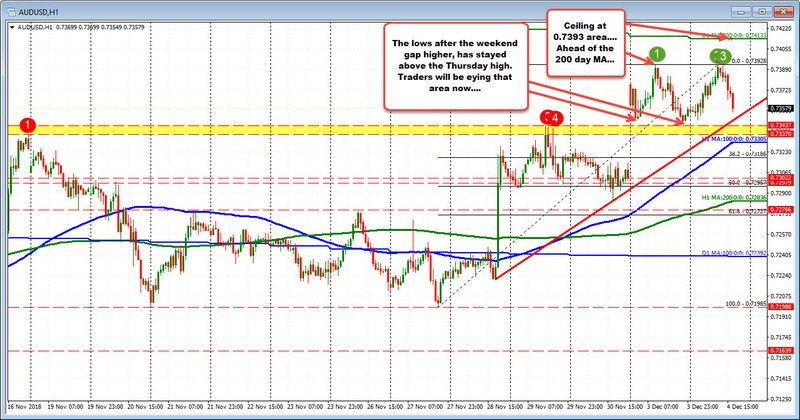 The AUDUSD moved higher in the Asian session into the London session and in doing so retested the high from yesterday. The highs today stalled right at the level (at 0.73928). That is not encouraging for the buyers, and they have turned around and sold.